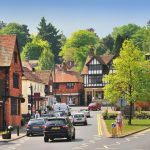 We love Farnham for its Georgian beauty, its 12th Century Castle and proximity to lots of pretty villages. It’s a hub of activity with a cool cafe culture, which has earned it the name ‘mini London’ in the press. 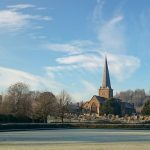 On its doorstep you’ll find plenty of fun places to hang out with the family, with Frensham Ponds, the Bourne Woods and Alice Holt Forest all close by. The Maltings is a hub for the creative arts with a jam packed programme of courses and events, all year round. David Lloyd, Farnham Rugby Club and Aldershot and Farnham Hockey Club, The Bourne Tennis Club, Frensham Pond Sailing Club and Farnham Leisure Centre, will keep the active families busy too. Farnham offers fantastic educational opportunities for your children with lots of ‘outstanding’ village infant schools, great junior schools and Weydon School, one of the best secondary schools in the country.